I am currently designing business inteligence courses for managers and executives. I have a chapter that focusses on Data quality and the importance there off. I came across this blog as I was looking for cartoons to add to my course material . I would like your permission to use these cartoons in my material. great cartoons! I’m doing a presentation in the UK at a customer experience event for FS and would love to use one or two to illustrate a point. full disclosure of source will occur. Could i have your permission please? Great work, very much LOL material! Could I use some of your cartoons in some marketing material I’m creating around the topic of Business Intelligence for IT departments? Great cartoons! I would love to use some of these in my presentation at the INFORMS Analytics Conference in Boston. Please advise. Jeff — please go ahead! Hilarious and gets the point across. Would love to share these with my audience during an up coming data symposium conference. I was formerly a Dean for the College of Computer Studies from the University of the East, Manila, Philippines. I’m being invited by a group of Information Systems students to conduct a seminar on Business Intelligence this coming April 2014. Can I seek your permission in using the cartoons during my presentation? Thank you. Could I use some of your cartoons in some marketing material regarding Business Intelligence ? Great comics Timo! I would love to use one or two of these in a conference presentation for Automotive Megatrends. We are developing a social analytics tool and write many articles about Big Data – I would love to be able to use your cartoons in our posts and to post them on my social media networks as needed. We will be doing an eBook and might want to use them. ,Having said all of this, we have a team of writers who create articles for big brands, there may come a time where they might want to use one of these cartoons – please let me know if this is ok.
Last but not least, I may ask you to create some original cartoons for us or our clients in the future, is this something you might be interested in? Love these cartoons – Can I use some in a presentation that I am doing on Big Data ? 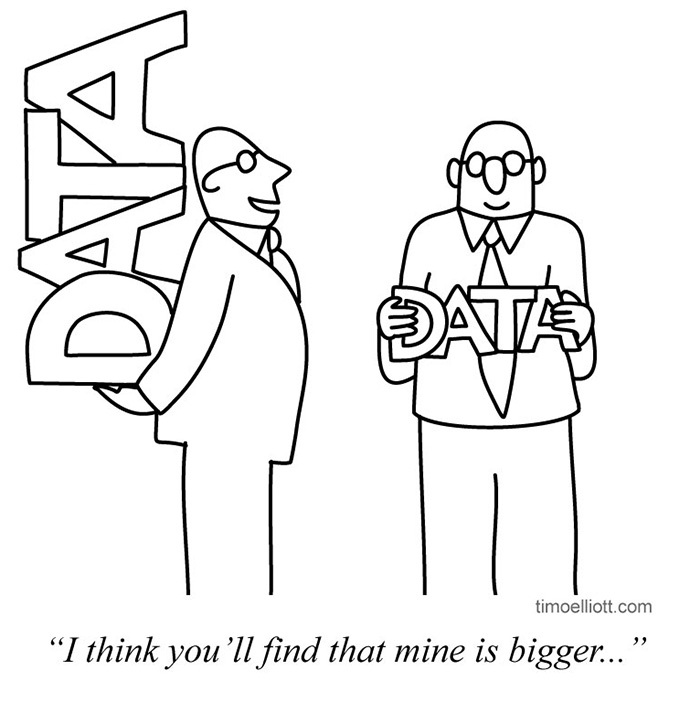 Timo, I love these cartoons – Can I use some in a presentation that I am doing on Big Data ? I would like to use some of your cartoons in one of our in-house workshops on BI. Please do let me know if it is ok with you. I LOVE these cartoons!! 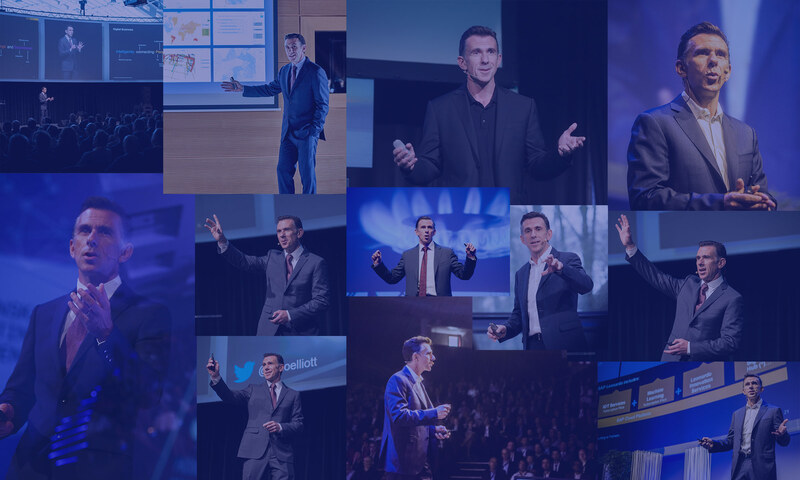 May I use them in upcoming newsletters, emails, social media and presentations? Hi, Liked these cartoons a lot. Would like to use few of them in our internal quarterly magazine TechTalk@KPIT. Can we have your permission? Hello Mr. Elliott. Very informative website, particularly for powerpoint novices like myself. I’m presenting at a compliance conference in Toronto on the use of data analytics in our compliance work, and would love to post some of your cartoons throughout the presentation. Would that be acceptable to you? Thanks. Tim, these cartoons are great. Mind if I use them alongside some content for Avention Inc. about big data when posting to social media (with credit going to you, of course)? Wonderful cartoons. May i use some of them in our presentations? Hi Tim, Great cartoons. With your permission, can I use some of these cartoons in my presentation? Great stuff! I would love to use one of the cartoons in an upcoming internal sales enablement newsletter with your permission. Tim I like these cartoons and can I use it for my presentation in an International Forum ? I’m currently preparing a material for a Marketing Exchange Event here in Manila. Please allow me to use some of the cartoons. Thanks! Doing a presentation on BI and would like to use one of your cartoons to open. Pls let me know if thats ok. Loved your cartoons a lot. simple but very meaningful. if you are ok I want to use couple of cartoons on my website. We release a quarterly business intelligence newsletter at our company. May I use your cartoons to add some humor? I am giving a presentation on Data Driven Decision Making and would like to use some your cartoons. Thank you! Hi Timo, I am giving a presentation on Predictive Analytics and its importance. May I have the permission to use your Turkey Predictive Analysis Cartoon. I would also like to congratulate you on creating such awesome cartoon themes. I’m honored — please go ahead.. I am giving a presentation on analytics. Can i use some your cartoons? Hi – love your cartoons. Could I use Opinions Are Good. Data is Better. in an internal presentation? Thank so much! I liked these cartoons. would like to use some of them in my presentations. These cartoons are great and I’d love to use one or two for a short video I’m making to explain what analytics is. Is this possible? With your permission, could I use two of your cartoons (Turkey Predictive Analysis and Bad Data Breakup) for our in-house BI sharing media please? With your permission please, i would like to post some of ur great analytic cartoons in my fb group. Thanks. I am presenting a course on Root Cause Analysis and metrics. I would like to use some of your cartoons as nice breaks between sections. With your permission please, I’d like to use some of your cartoons in my blog posts. These cartoons are great for me , i am basketball coach , i would like to use some carton for print on paper to our player , i can ? I am an 8th grade math teacher in Massachussetts. I am working with my science teacher colleagues to build an interdisciplinary math/science capstone project. We would love to use your cartoon “Opinions are good, Data is better) as part of our “Data Collection” title page. We would be handing the packet out to our students this year, and hopefully in following years as well.